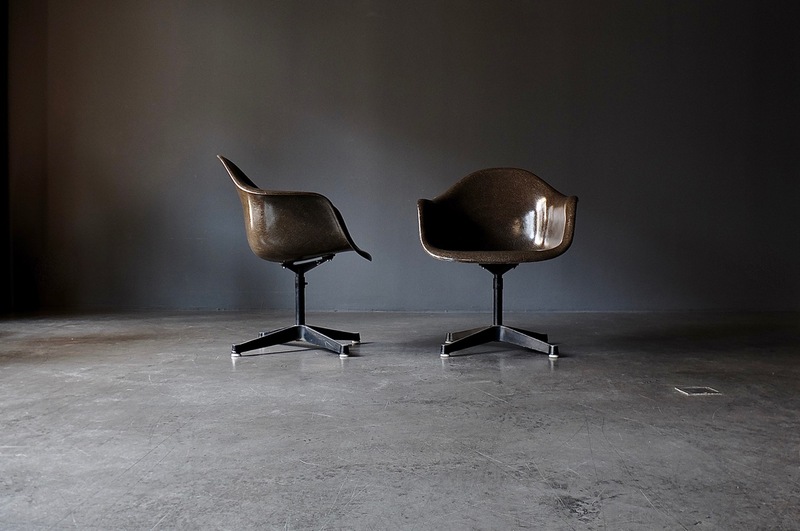 A couple of Eames armchairs with contract base. The fiberglass shells have a color like bitter sweet chocolate or espresso, which you won’t find on every street corner, and are in very good vintage condition (no cracks etc.). The contract bases are rotatable and height-adjustable. Infinitely adjustable from lounge to desk/dining table height.